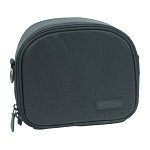 The Perfect All-Purpose Companion - Ideal for Casual Use! Whether admiring scenic wonders while riding in a balloon, from walks on the beach to heart-pounding wild water rafts: if you don´t want to miss a thing you better take a look through the Safari 8x30. This powerful binocular brings everything in closer and makes images even brighter. Discover the perfect symbiosis between performance and functionality: the 8-x magnification gets you close enough to see more details and the High-Contrast-Optics minimize glare and deliver clear images. Focus is never a problem with the revolutionary Sports-Auto-Focus system. The Makrolon fiber reinforced polycarbonate body is extremely rugged and the slip-proof rubber armor is absolutely scratch-resistant and shock-proof. 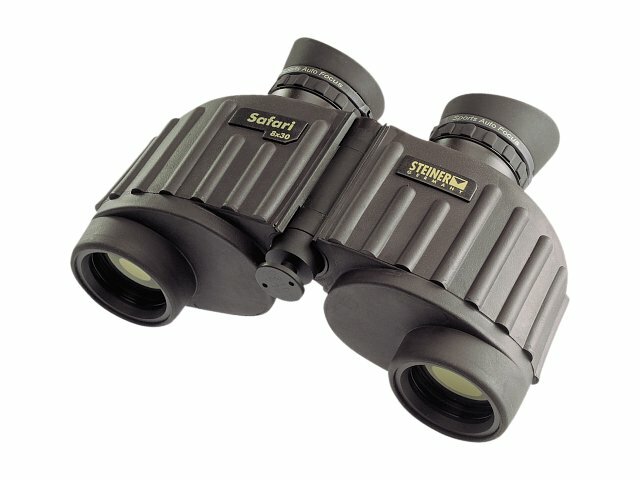 The Safari 8x30 - for better action, more details and brighter images! Whether you need a dependable binocular while travelling, at open-air concerts, for outdoor adventures, while admiring wildlife or for country navigation: discover the great reliability of the Safari 10x26. The 10-x magnification brings everything in closer. The large objective and the High-Contrast-Optics offer better resolution and provide sharp and clear images, no matter how difficult light situations might get. The Fast-Close-Focus-System gives you a revolutionary close focus range of approx. 2 meters and a clear view of everything. 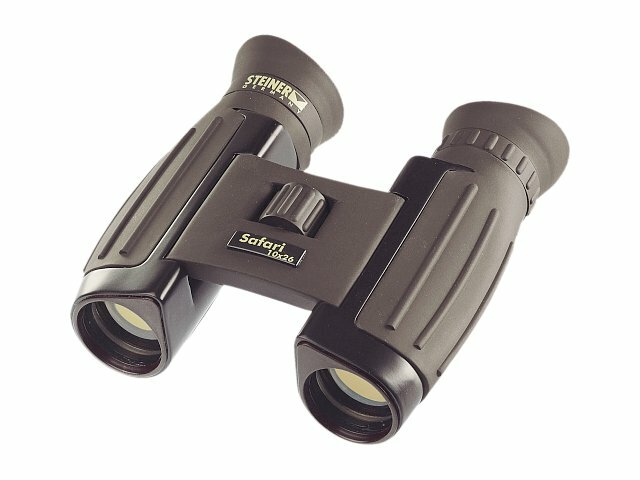 A high-quality binocular, built to highest specifications for shock, scratch, humidity, dirt and dust proofing. The non-slip grip rubber armoring makes it easy and silent to grip. The light weight of 270g makes the Safari 10x26 the perfect companion for all of your exiting adventures!